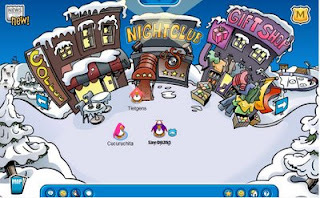 Since the very first moment my daughter Nicole (almost 8) started being a Penguin in Club Penguin we spiraled into the most addictive craziness I've ever seen in her short life. Being this her first experience of having virtual friends, virtual pets, virtual money that she has to earn and decide how to spend (mostly on her pets), a whole virtual world, she's totally hooked and enjoying it incredibly (even a lil'too much if you ask me :|). In the words of her older brother Chris: "Welcome to the world of online gaming".